Ordering in bulk and handling inventory and sizes would be a P-A-I-N. The inventory would never be right, we’d always end up with the wrong sizes and leftover inventory. 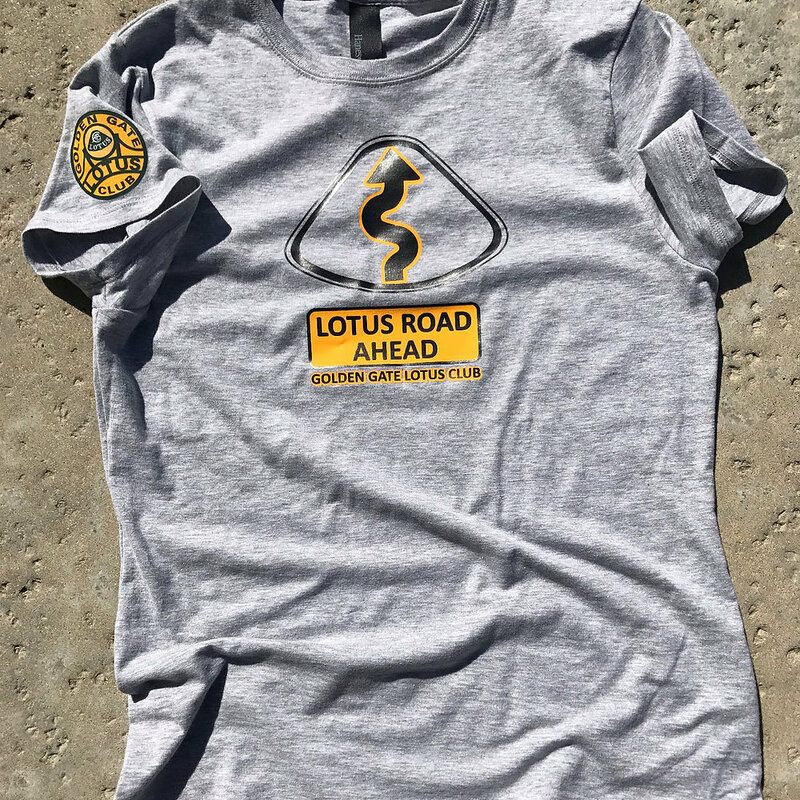 Those Chapman Report readers who attended the 2017 West Coast Lotus Meet are likely still enjoying the WCLM Tee-Shirts. 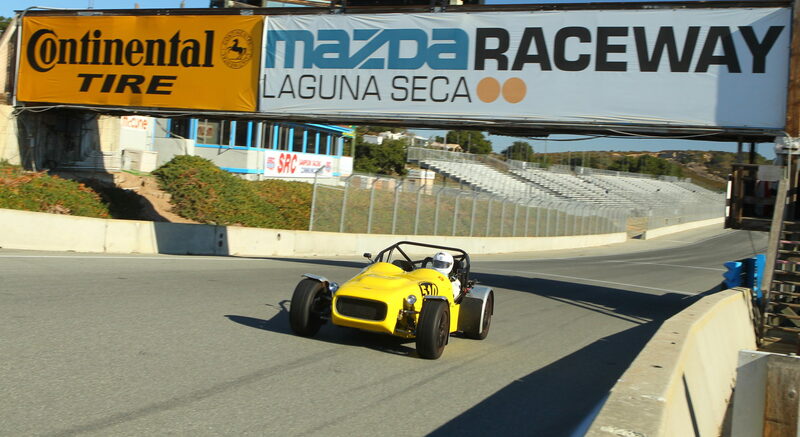 We had two designs, one with silhouettes of classic Lotus cars and the other with post 2000 cars. The shirt for the WCLM entrant was of their car’s era with the silhouette of their model highlighted in the color of the car! Each shirt was completely customized just for them! The success of the shirts got us thinking about expanding upon the combination of unique Lotus and club related designs with the ability to produce items on an as ordered basis and overcome all the objections that prevented the GGLC from making club regalia available in the past. Thus, the GGLC has partnered with Berm Designs (owned and operated by Jen Dietsch) to offer GGLC wear (shirts, caps & more)!!! Starting May 1st you will see GGLC items featured on the GGLC’s web site and Facebook and on Berm Designs. Berm Designs is handling orders and financial transactions. A portion of the price is shared with the GGLC. The GGLC is VERY EXCITED!!! 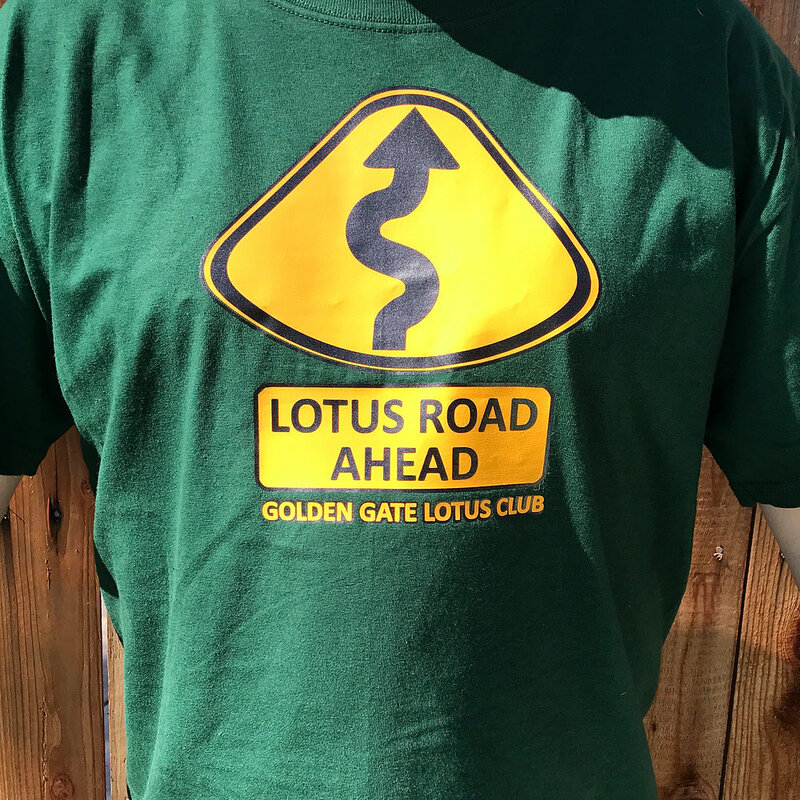 Our first item is a T-shirt emblazed with the “Windy Lotus Road” (see photos). It’s something fun and relatable for every Lotus enthusiast.